Bluecycle have a 2010 Ford Focus RS for sale, undamaged, in Green with less than 2,000 miles recorded. See www.bluecycle.com for more detail. Scrapcar.co.uk have just launched a new website, it is full of important and relevant information, and more importantly, it is very user friendly. A bill introduced this month in the U.S. House of Representatives would direct the Department of Transportation’s National Highway Traffic Safety Administration (NHSTA) to require more disclosure of market value and safety information for damaged vehicles, according to a report from the Automotive Service Association (ASA). Behind H.R. 164, known as the Damaged Vehicle Act, is U.S. Rep. Cliff Stearns (R-Fla.), chairman of the House Energy and Commerce Committee’s Subcommittee on Oversight and Investigations. • The cause of the contract termination. The bill adds that the private sector would be responsible for collecting, aggregating and disclosing the vehicle’s fair market value and safety information, which will be accessible by the VIN. The bill is available for review at the ASA website, takingthehill.com. Johnson Controls today broke ground on a fully-integrated battery recycling facility in Florence, S.C. The Florence Recycling Center, slated for completion during 2012 and to be operated by Johnson Controls' Power Solutions business, represents a capital investment of more than $150 million and will create an estimated 250 new jobs and approximately 1,000 indirect jobs in the area. The groundbreaking was led by Alex A. Molinaroli, president of Johnson Controls Power Solutions, with more than 150 area leaders and community members in attendance. "I'd like to thank the leaders from the Florence area and throughout South Carolina for their support and collaboration through this process, including the Florence County Economic Development Association, the South Carolina Department of Health and Environmental Control (DHEC), the Environmental Protection Agency (EPA), Senators Hugh Leatherman and Yancey McGill, and many others," said Molinaroli. "They have been instrumental in helping us to achieve today's milestone to be able to break ground on this important facility." The facility will be located directly off of US-76, on Paper Mill Road. Johnson Controls plans to develop 36 acres of the site for its new facility and parking, with the remaining acreage undeveloped. Portions of this undeveloped acreage will be permanently protected through a conservation easement. To learn more about the Florence County Recycling Center, visit www.florencerecyclingcenter.com. Would all AutoDrain Customers and partners please be aware that on the night of 12th of January 2011 our Leeds warehouse was broken into and a substantial amount of Equipment was taken. Vehicle Lift and Load System – Oil Drainage arms – QuickDrain cabinets and Fuel Recovery Modules – A large quantity of Hydraulic rams and components for the above equipment and many other parts for products from the AutoDrain Range. All of the Equipment is marked with the recognisable AutoDrain Brand and is unique to and only available through AutoDrain as we do not use resale agents. If you are offered any AutoDrain Equipment from sources other than ourselves please contact us as soon as possible. How to ensure your old car doesn’t become an environmental hazard. You may have never had to scrap a vehicle before, so you haven’t had to think about the consequences of what happens to your vehicle. Where you take it can be the difference between responsible environmental practices or a total environmental disaster. The truth is, not everybody handles end-of-life vehicles (ELV) and vehicles that have been in accidents the way they should. The volume of salvage yards trying to extract the most value from an ELV by cutting environmental corners is a growing practice. The European Union set regulations in place 10 years ago to prevent vehicle dismantling and destruction from harming the environment whilst maximising the volume of each vehicle that is recycled. 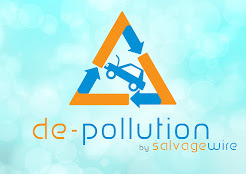 Currently 85% of the vehicle must be recycled; by 2015 salvage yards will have to recycle 95% of each vehicle. Unfortunately, there are a number of salvage yards that do not abide by the EU regulations, and these yards are having a negative impact on the environment. Licensed operators have spent a lot of money on premises and equipment to ensure that all the hazardous components of vehicle dismantling are handled correctly and in a way that does not harm the environment. These areas include tyres, batteries, oils, fuel, coolant, batteries, air conditioning gas etc. Any of these can pose a hazard to the environment, hence the need to treat each of them so carefully. 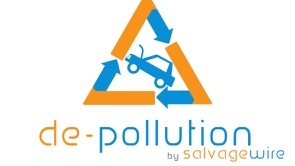 Once the vehicle has been fully de-polluted it is then recycled, either by going through shredding process, or by being dismantled and the parts removed and resold for use on other vehicles before the remainder of the vehicle is crushed and recycled fully. Or you could use one of the many national services available including Give A Car http://www.giveacar.co.uk/ who will scrap your car and make a donation to the charity of your choice, and Car Take Back (www.cartakeback.com). You can make a world of difference by the choices you make when you scrap your vehicle. In a move that could be mirrored in other countries, Ireland’s Department of Transport and Road Safety Authority recently released a consultation document on the regulation of written-off vehicles. The proposed legislation includes clear definitions of categories of vehicles which must be permanently written off and those that can be safely repaired, the legislation also covers imported vehicles that have previously been written-off, requirements on the minimum standard of repair for written off vehicles, details of how written-off vehicles are recorded and ownership of these vehicles. The consultation document clearly shows the way forward for written-off vehicles in Ireland, proposals that, if successful, could be adopted by other countries, and could pave the way towards a minimum global standard for repaired motor salvage. the consultation period lasts until 4th Feb 2011. Yes, I know it costs money, but making a good choice of trade association could pay dividends in coming years. The stronger your trade association the more benefits they can give you - This could include a voice at Government level, support in your dealings with local authorities, regular liaison with environmental agencies, and much more. The only way these associations can have this influence is if more salvage businesses join them, contributing not only to the funds, but participating in the meetings, discussions, committees. As an example, The Automotive Recyclers Association have recently announced a 20:1 plan, they will strive to give you back 20 times what you pay in fees – that can only be good news to all auto recyclers and salvage yards. We now live and work in an internet society, from purchasing of vehicles, applying for licences, through parts and vehicle sales, to scrapping and certificates of destruction – many salvage businesses I visit during the course of a year are still ‘employing’ their children to keep this important part of the operation up to date. If owners and managers do not understand computers and the internet, and the benefits these can bring to your business through increased exposure, more enquiries, more sales, efficiencies in purchasing, licence renewals etc. then make 2011 the year that you enrol on a computer course, or bring in a new member of staff who can run this area for you – better still – do both, then you can understand what your colleague is doing. Knowing what is in the yard and the condition of the parts will become increasingly important. Operations that can give an immediate answer to customer enquiries are more likely to turn that enquiry into a sale. Salvage yards that have to check what is in the yard, or are unable to give full details of the donor vehicle (age, mileage etc.) are less likely to create a sale. Amazingly, I still visit yards around the UK where the stock control is in the bosses head, or they have to phone the customer back after they have checked the vehicles in the yard. Customers do not want to wait, they need an answer immediately otherwise they will contact another company and never come back to you. Stock control is increasingly important for controlling costs and stock levels, accurate stock control systems can show how many items are in stock, how often they are sold, what is in demand and where there is too much stock, and can be an invaluable tool to make certain new stock coming into the yard can be turned into sales very quickly. Accurate stock control will guide users by highlighting parts that are in demand and require removal and storage, and avoids the unnecessary expense of stripping parts that take ages to sell, or are added to already high volumes of unsold parts. Over the last few years the level of ‘admin’ required to run a motor salvage operation has increased dramatically. Waste Management Licences; National and Local Government registrations; hazardous waste. Not to mention Certificates of Destruction, health and safety, tax, wages, pensions and much more legislation. I know ‘red tape’ is time consuming and laborious, but it is here to stay and will not decrease in volume over the coming years, so if you cannot deal with it, employ someone who can. Happy New Year to all in the motor salvage industry, I hope that 2011 brings success and prosperity. Over the next few days I will be giving some ideas for improvements that could be made during 2011. I hope that many of you read these comments as confirmation that you are already at a very high standard, but for some you may want to look in more detail at the suggestions made and see if they can improve your business.